So, you’re behind on your taxes, and don’t know where to start? We understand. Owing back taxes can be overwhelming. Thankfully, you don’t have to deal with this alone. Whether you need to start from first base and file some missing tax returns to become current or, you’re already up to date and now need help negotiating an affordable payment plan, we can design a manageable settlement that keeps you out of the line of fire, resolves your tax debt, and gets you back to living your life! Download our free 3 Step Process infographic to understand how Reliance Tax Group can help you. Congratulations on taking the first step to being free from tax debt. Our website will help you know how to handle the IRS and your state and know when you need to hire a professional. We are looking forward to your call! It's easier than you think to get started! 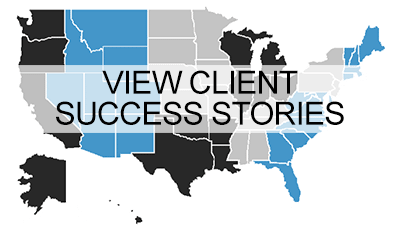 Check out our video outlining our three step process. First, we will file a stay of enforcement, conduct a compliance check and provide a breakdown of your liability. If you have any missing tax returns, we will make sure to help bring you current on all filings. Next, there are 4 different types of payment plans. We will go through each payment option and choose the best resolution strategy for you based on how much you can afford, NOT how much owe. Finally, most taxpayers that have fallen behind have accrued high penalties. Many fall behind due to unforeseen circumstances. Call us today to see if you qualify for penalty relief! 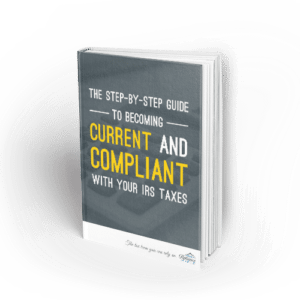 DOWNLOAD OUR FREE TAX GUIDE! Aren't All Tax Companies The Same? “An enrolled agent is a federally licensed tax practitioner who has unlimited rights to represent taxpayers before the IRS”. At Reliance Tax Group, we believe in helping those with tax problems, not adding to their financial burdens. That is why we proudly serve you on a flat fee basis. That means one set fee that covers all our services to resolve your tax issues. Period. All of our Enrolled Agents at Reliance Tax Group are required to complete 30 hours of continuing education per year.